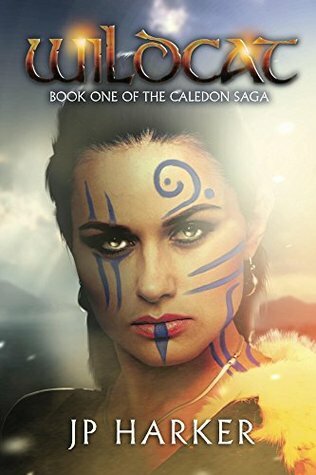 Wildcat takes place in a fantasy land inspired by Iron Age Britain and follows Rhianwyn’s story as she encounters a civilisation unlike any she could imagine, and is constantly forced to learn and adapt through trial after deadly trial. Now this is a long, long, book, a fantasy story that follows the life of Rhianwyn of the Caderyn, a warrior in her own right. She is one tough lady that like all the other women in her tribe battle alongside the men in her homeland, to protect their property and families. These are violent times set in Iron age Britain with graphic and violent fighting scenes with axes and swords, very bloody and gory. There are also explicit sexual scenes which take place. If any of these offend this book will not be for you. Thanks to the author for a copy of this story which I have honestly reviewed. JP Harker is the pen-name of James Thomas, an obsessive martial artist and history fanatic. A proud Welshman with just enough Saxon in him to make things interesting, James hails from glamorous Glamorgan, Old South Wales.